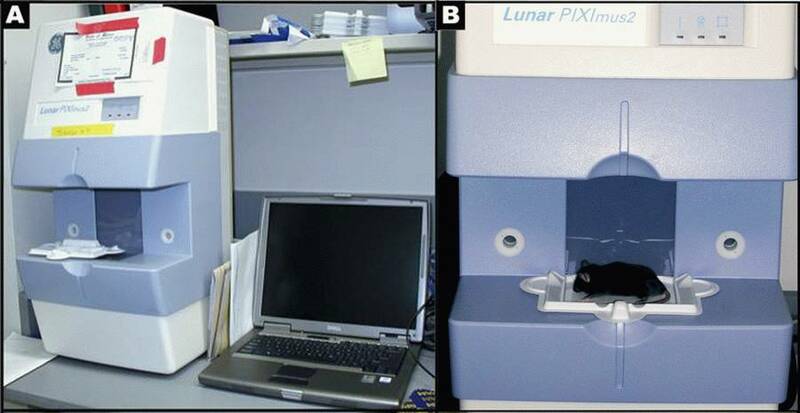 DXA system (LUNAR, Madison, WI), software version 1.43.036.008): The PIXImus mouse densitometer has been reconfigured with lower x-ray energy than in human DXA machines in order to achieve optimal contrast in small specimens. 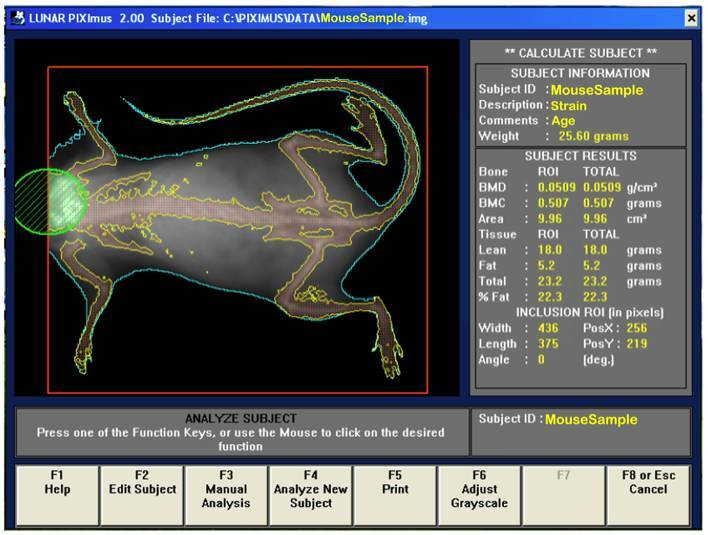 The Lunar PIXImus for rodents is a fully integrated densitometer designed for the estimation of bone mineral density (BMD) and body composition. The resolution of the PIXImus is 0.18 x 0.18 mm pixels with a usable scanning area of 80 x 65 mm, allowing for measurement of a single mouse or collections of isolated specimens. The precision for BMD is less than 1% coefficient of variations (CV) for whole body, approximately 1.5% CV for specialized regions (Nagy et al, 2000). Correlation with peripheral quantitative computed tomography (pQCT) values for 614 isolated spinal vertebrae is significant (p<0.001; r=.704). 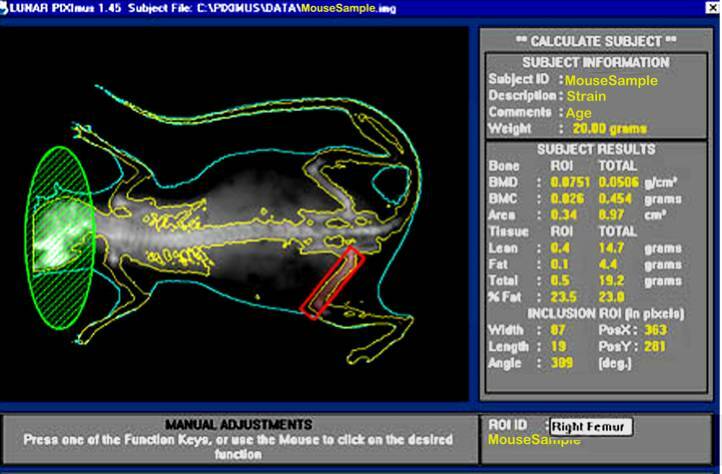 c. Trays are positioned so that the area of the head is always oriented toward the left from the investigator's point of view, and the mice are positioned dorso-ventral so that the entire body and tail are measured in the scan. e. Disposable plastic trays, with sticky tape for immobilizing mice, can be saved and re-used after a thorough cleaning and disinfecting.